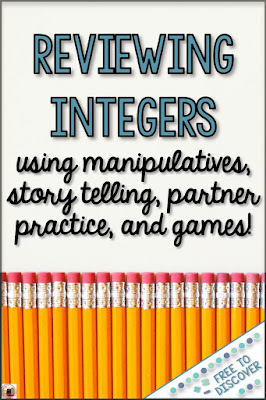 I always start off my eighth grade classes with a review of integers. 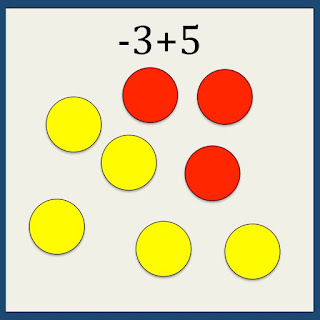 Fluency in integer operations is SO important for pretty much every other skill that students will learn in eighth grade. Student 1: Start with 3 red chips. Student 2: Add 5 yellow chips. 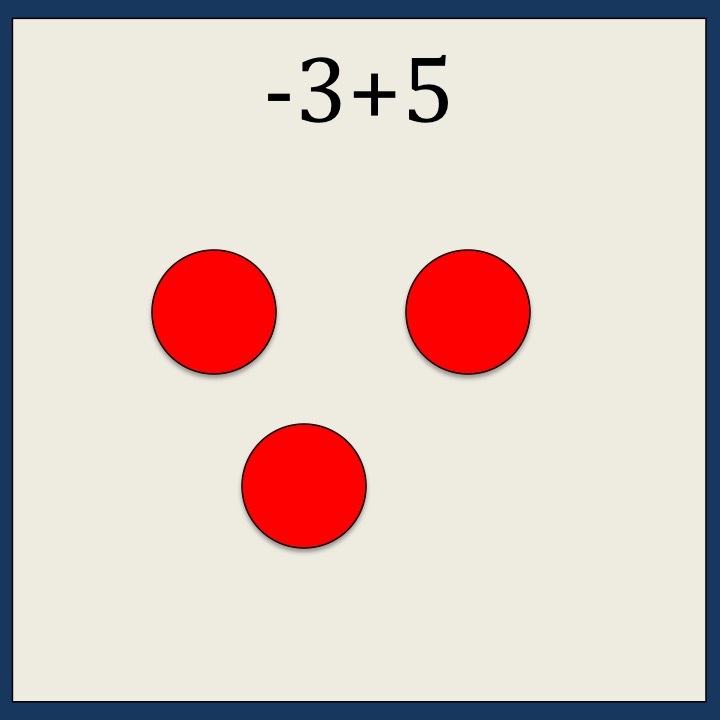 Student 3: Match up the 3 pairs. Each pair equals 0 because 1+(-1)=0. Remove the pairs. 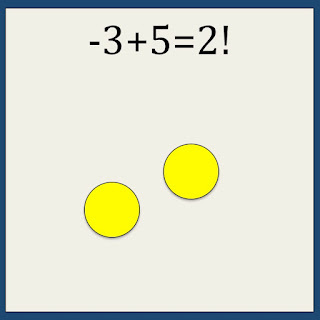 Student 4: The result is 2 because there are two yellow chips left. If a good thing happens to a good character, we’re happy. If a bad thing happens to a bad character, we cheer. If a good thing happens to a bad character, we don’t like this. If a bad thing happens to a good character, we’re sad. 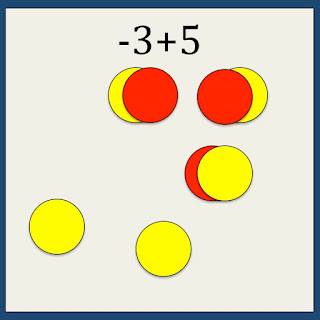 I also give students time to practice, practice, practice using flashcards. Each pair gets a pile of flashcards and one partner starts as the flasher. The other begins by computing the answers. (The answers are all written on the back.) After about 3 minutes, I have them switch roles. I love this independent time for two reasons. A) They are getting actual practice and everyone is engaged. B) I do this during the first week of school so this gives me time to walk around practice names and get to know my students. 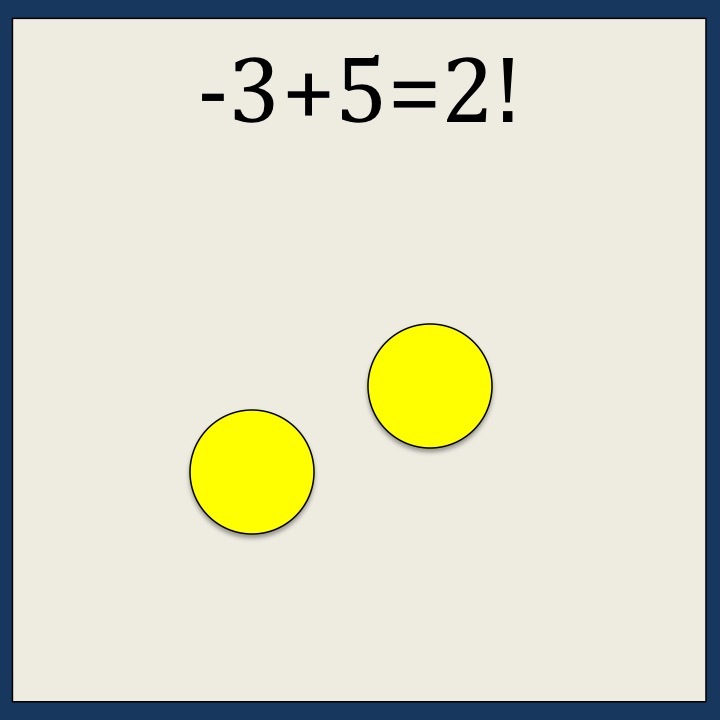 I also have a fun “All About Me with Integers” activity that works well within the first week of school. Students answer questions about themselves, then use a key to translate the letters into integers, then add them all together. 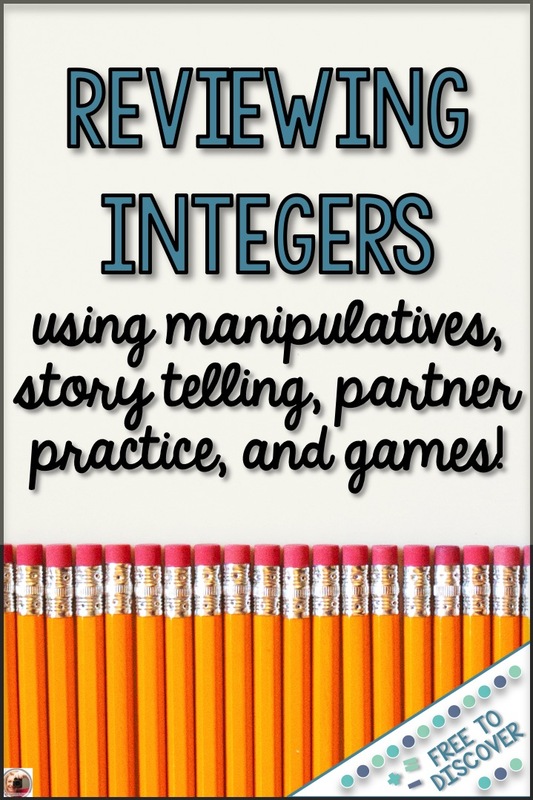 You will get to know your students on a personal level and also begin to develop an understanding of how much information about integers they retained. Click here to learn more about my integer resources. *Pinnable image graphic by Snapshots by Amy.